Ronan waited for them to leave then crept over to the barrel. He glanced down the alley as best he could to ensure none of the robed figures were returning. Having ensured the alley was clear, he moved the barrel and other muck to expose the door into the cellar. He quietly opened the door, trying not to disturb anyone who might be within earshot. Sound travelled a longer distance at night; even in Five Points with its hubbub of hustling and misery. Noticing there was just enough light to see by down the stairs and the candles along a nearby shelf, he closed the cellar door to prevent detection. Five Points is a game of urban horror in America’s first melting pot, the Five Points neighborhood of New York City. Set in the 1840s and 50s against a backdrop of the Cthulhu Mythos, Five Points is powered by Dark Streets from Cakebread & Walton. 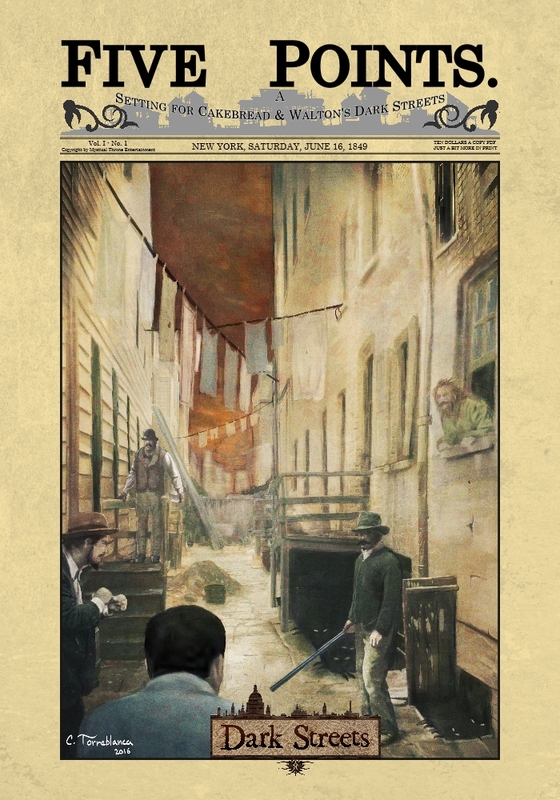 Players take on the roles of runners or advisors for the Bowery Street Runners, an homage to the Bow Street Runners from London’s past, fighting against the terrors of the night. Can you stop them before the stars are right? A detailed historical look at New York City’s Five Points neighborhood during the 19th century. Character creation for Bowery Runners. 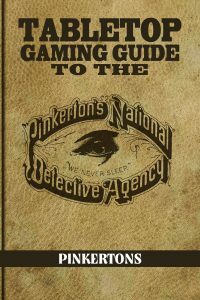 Setting information for running Five Points games. A collection of adventure frames. Five Points is not a standalone book. 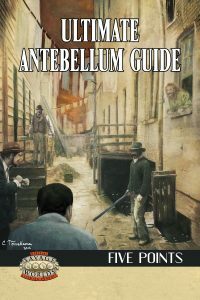 It requires use of the Dark Streets core rulebook available from Cakebread & Walton.